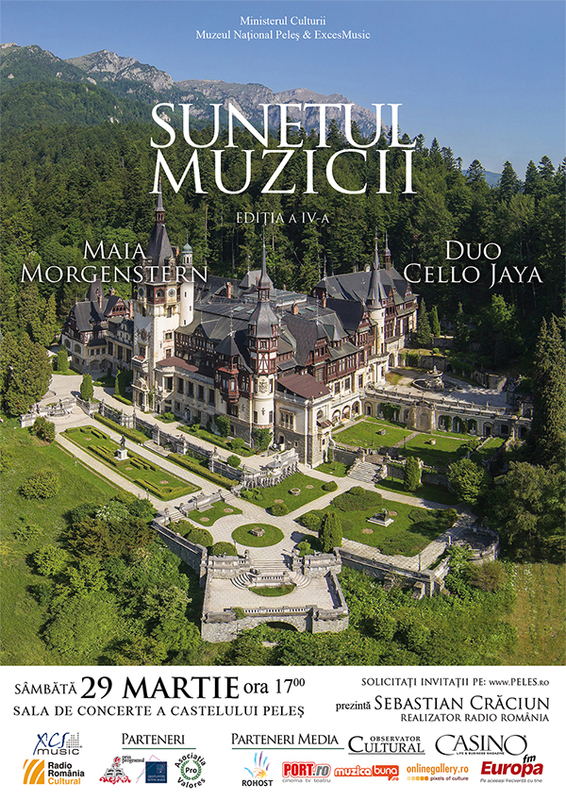 On Saturday, March 29, 2014, The Sound of Music Season was resumed for the fourth consecutive year at the Peleș Castle – a symbol of Romania’s culture, history and esthetics. 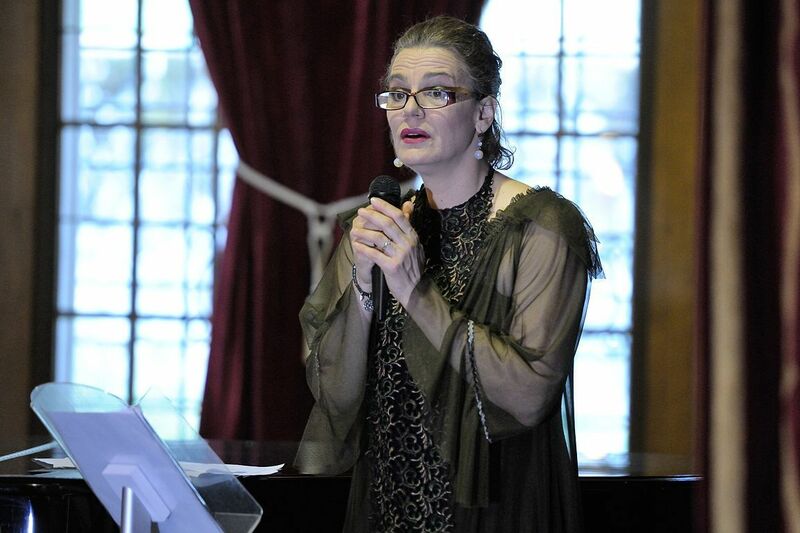 For the first of the ten upcoming soirees, the organizers: ExcesMusic, through the “Oportunitati la tine acasa” program, funded by Interpretative Creation of Musicians of Romania, Peleș National Museum, Radio România Cultural, Pro Valores Association, have prepared a successful recipe by inviting a great actress – Maia Morgenstern and also an exquisite and valuable instrumental ensemble – Duo Cello Jaya, consisting of cellists Ella Bokor and Mircea Marian. The crowd stormed the Castle’s music hall, forming lines already half an hour before entrance access, putting the hosts to a series of tests, who barely coped with bringing additional chairs and benches. The show had a special load to it, which marked the entire edition of the season; the anniversary of 100 years since the disappearance of King Carol the First and the 100th anniversary of the end of the reign of Queen Elizabeth, patroness of the arts, also known under the pseudonym of Carmen Sylva. 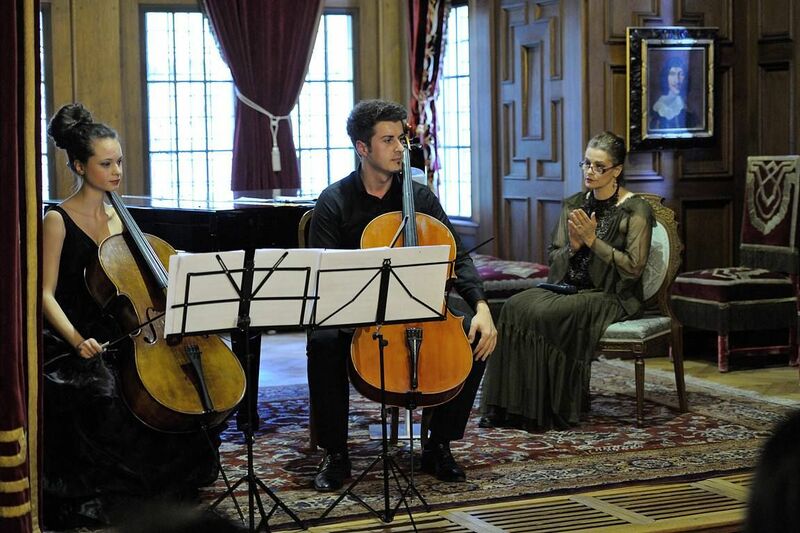 It was a unique, unrepeatable evening, a memorable blend between music and poetry, between the sound art imagined by composers Reinhold Gliere or David Popper and the art of the poet Queen, a lover of fine arts and a music advocate, Carmen Sylva. 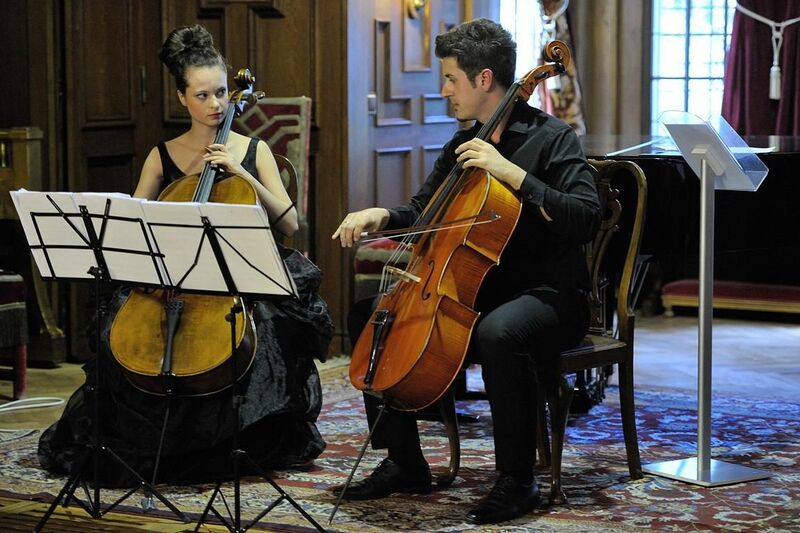 It was a recreation of a special world in which the art driven audience let itself being guided by true artists. Maia Morgenstern made an incursion into the maybe too easily forgotten opera of a Queen, of which Mite Kremnitz wrote in 1903: Although the royal crown undoubtedly shined upon Carmen Sylva’s writings, so the Queen gave fantasy wings to the name of Romania, who flew around the globe faster than it have ever could without them. The King’s positive achievements of Romania have spread less glory than the literary name of the first Queen.